Director Werner Herzog is a wizard at conjuring unfor­gettable visions. Now he brings us the earliest known visions of mankind: the Chauvet-Pont-d’Arc cave art of southern France. 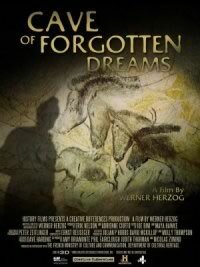 Premiering at the 2010 Toronto International Film Festival®, Cave of Forgotten Dreams brings these remarkable paintings to vivid life. Sealed shut by a landslide for 20,000 years until it was finally discovered in 1994, the Chauvet Cave in southern France contains some of the oldest known examples of prehistoric art. With limited time, a skeleton crew and an improvised lighting system – the technical restrictions imposed on account of atmospheric fragility are severe – Herzog superbly conveys the mystery and the majesty of these paintings.